Relations between Taiwan and the Peoples Republic of China have oscillated between outright hostility and wary detente ever since the Archipelago seceded from the Communist mainland over six decades ago. While the mainland has long coveted the island, Taiwan has resisted - aided by the United States which continues to play a decisive role in cross-strait relations today. Guiding readers expertly through the historical background to the complexities of this fragile peace, Goldstein discusses the shifting economic, political and security terrain, and examines the pivotal role played by the United States in providing weapons and diplomatic support to Taiwan whilst managing a complex relationship with an increasingly powerful China. Drawing on a wealth of newly declassified material, this compelling and insightful book is an invaluable guide to one of the worlds riskiest, long-running conflicts. Steven Goldstein is Sophia Smith Professor of Government at Smith College. He is also the director of the Taiwan Studies Workshop at Harvard University and has been a visiting faculty member at the Fletcher School of Law and Diplomacy and Columbia University. In the spring of 2012 he was Van Beuren Chair Distinguished Visiting Professor at the Naval War College. "Trying to understand the history of the China-Taiwan-US triangle is like getting through a maze. The issues are complex. Each government has its own particular policy framework. And theres a bewildering lexicon of terms. 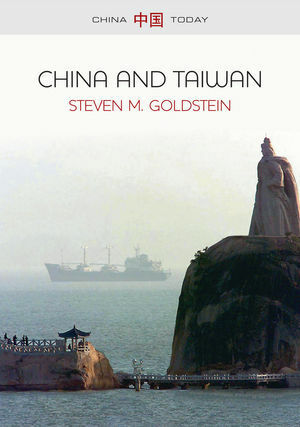 For the best guidebook through the maze, read Steve Goldsteins China and Taiwan." "In a highly readable narrative, Steven Goldstein provides rare insights not only into current Taiwan society and cross-Strait relations but also the critical underlying historical background. No other source covers that ground so comprehensively yet so accessibly. China and Taiwan is required reading for anyone seeking to understand the challenges and opportunities ahead."